Michael-Forest Meservy is the lead Scholar and instructor of the Noble Science Academy. Michael-Forest initially began his study of the longsword in 2001 under the instruction of Jake Norwood. 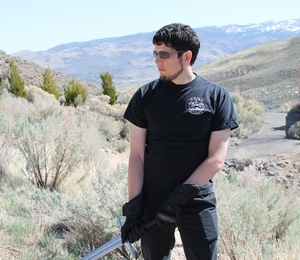 Since founding the Noble Science Academy, Michael-Forest has developed an efficient curriculum containing comprehensive systems for teaching and learning the longsword and rapier based on historical principles, terminology, and techniques, and has taught at events all over the country, including at Longpoint, SoCal Swordfight, and IGX. He is a certified instructor of the HEMA Alliance, and also holds an MLitt in Medieval History from the University of Glasgow.